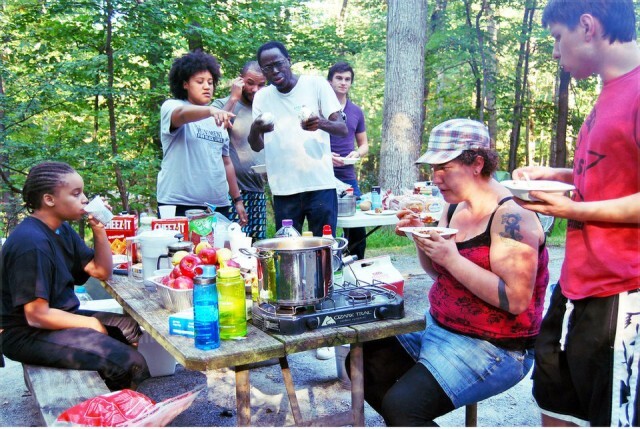 Close to 20 activists took off the weekend of Sept. 19-20 to study the book “A Voice from Harper’s Ferry” and enjoy a camping retreat, organized by the Baltimore Chapter of Fight Imperialism, Stand Together (FIST) and Workers World Party. WWP and FIST set up camp for retreat. First they went to Greenbrier State Park in Maryland and then to the historic site of the armory at Harper’s Ferry, W.Va., where John Brown’s raid took place October 17-18, 1859. “A Voice from Harper’s Ferry” (World View Forum, 2000) is an account of the famous anti-slavery military action by 22 Black and white Abolitionists that preceded the Civil War. It was written by Osborne Anderson, a Black revolutionary who took part in the raid. 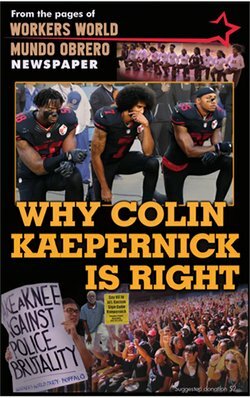 The book also contains important essays by Mumia Abu-Jamal, Monica Moorehead on “What Is a Nation” and Vince Copeland, WWP founding member, who revived Anderson’s important account and authored the essay, “The Unfinished Revolution.” The group read these chapters aloud to each other by fire and flashlight and discussed their meaning. This didn’t stop everyone from engaging in an adventurous weekend, including swimming in Greenbrier Lake, hiking up the mountain cliff overlooking Harper’s Ferry and building a campfire. The participants, who have been in the streets this year protesting police murders of Black people, also toured many historic sites. This was the first camping trip for many, who returned to Baltimore tired but excited. Copies of the book can be purchased from online booksellers.